*happy sigh* I love me a good romance in any combination of letters (M/F, M/M, F/F, etc). I'm oh-so-picky, so when I happen on one that just clicks for me, I can't say enough good things about it. Well, like her other Hot in Chicago book, Kate Meader knocks this one out of Wrigley Field. 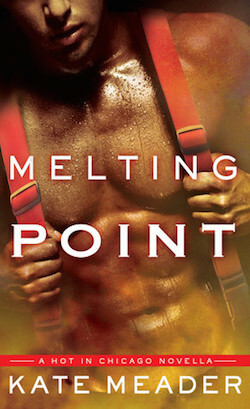 Melting Point picks up where hot firefighter Gage and his tactiturn chef crush Brady's story ends in Flirting with Fire. Just when Gage thought he'd gotten somewhere with Brady, the former military man cut and run without a word of explanation. Brady's PTSD has him too messed up inside to start anything meaningful with Gage. That doesn't keep him from wanting to try anyway. And the giant build boards of the guy he can't help but lust after aren't helping him. 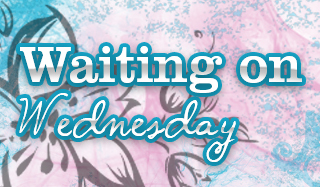 Meddling friends toss these two together, sparks fly, sexual tension is off the charts, but Gage and Brady are too perfect for each other not to find a way to make it work. They get their happily for now, but not without both having to work for it with personal growth. OMG the billboards were awesome and obviously a hazard! I loved this one too! Have you read her Even The Score?